The following layouts have been built and are being maintained by the Society. Click on the image or title of the layout to get more information. 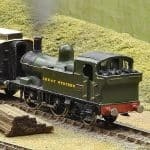 The layout was originally a German 4mm layout owned, then donated by a former member of the Society. It has been substantially rebuilt with new trackwork. 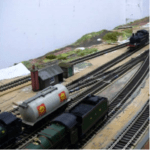 The layout has been named Avon Sidings, and was first seen at our 2011 exhibition as a shunting puzzle. 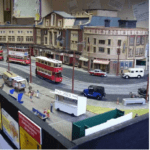 This 4mm model is a section of Wellesley Road, Croydon, viewed as from the west. It was constructed inside four weeks in time for the Society’s Annual Exhibition in October 1999. Operation of the layout is entirely automatic. Culm Valley is a project that comprises two individual 3mm scale layouts – Hemlock and Uffculme. It is based on the Culm Valley Light Railway which was opened on 1st June 1876. Two of its stations were Hemyock and Uffculme. 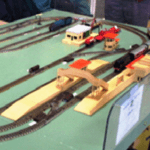 This 4mm layout comprises a continuous run double track, including a Depot. It represents a typical British town in the 1920’s to 1950’s. The layout measures 7 feet (2.13m) by 3 ft 6 ins (1.06m).